I'll be seeing director Tom Hooper's (The King's Speech, Les Miserables) latest next week at TIFF and today Focus Features has premiered the first trailer for the seeming Oscar hopeful. Having been rubbed the wrong way by Eddie Redmayne in both Hooper's Les Mis adaptation and his Oscar-winning performance as Stephen Hawking in last years Theory of Everything I wasn't overly excited by this blatant-feeling Oscar bid. Giving Hooper a period piece with such a timely and relevant subject matter and again pairing him with Redmayne who would no doubt be gunning for his second consecutive Best Actor statue just felt stale. 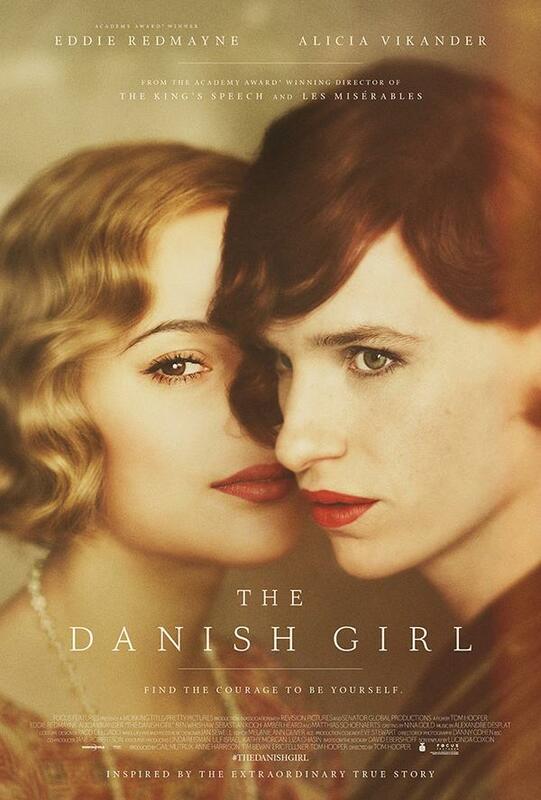 I couldn't conjure any genuine excitement for The Danish Girl. I will admit though, that after watching the first trailer I'm definitely more intrigued by the film and am somewhat anxious to see what the full picture offers. Will it end up being the major awards contender it seems destined to be? Who knows, but what is most surprising is that while Redmayne is clearly the star his co-star Alicia Vikander (Ex Machina) seems to be as major a player in the arc of the lead character as Redmayne himself. My favorite thing about Theory of Everything was the fact it was as much a story about Hawking's partner and how his life dictated her life and how she gave him her unwavering support and this seems to share the idea of documenting this main character from that same perspective. The film tells the story of artists Einar and Gerda Wegener, whose marriage and relationship evolves as they navigate Einar’s journey as a transgender pioneer to become Lili. The Danish Girl also stars Ben Whishaw, Sebastian Koch, Amber Heard, Matthias Schoenaerts and opens in limited release on November 27th before expanding to more theaters throughout December. Synopsis: The remarkable love story inspired by the lives of artists Lili Elbe and Gerda Wegener (portrayed by Academy Award winner Eddie Redmayne [“The Theory of Everything”] and Alicia Vikander [“Ex Machina”]), directed by Academy Award winner Tom Hooper (“The King’s Speech,” “Les Misérables”). Lili and Gerda’s marriage and work evolve as they navigate Lili’s groundbreaking journey as a transgender pioneer.